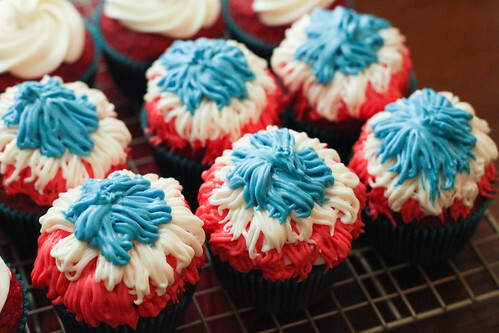 I love these firework cupcakes by The Nifty Foodie! I made some Christmas Tree cupcakes similar to this once, but this decorating technique looks much better for fireworks. Check out the whole post for tips and a picture tutorial!